There is no doubt that Prince William not only inherited his mother’s looks and charm, he also took after her selfless attitude. “The worst illness of our time is that so many people have to suffer from never being loved. “HIV does not make people dangerous to know. You can shake their hands and give them hug heaven knows they need it,” once said the People’s Princess. So it’s a no-brainer that she instilled the value of kindness and empathy in her sons, one of whom was pictured breaking protocol to console and comfort a victim of the devastating London fire that took place on June 13 and claimed the lives of 79 people. Hugging may seen very normal in this type of situation but the 34-year-old heir to the throne’s actions were actually against the norm. There’s been a long standing tradition that frowns upon the touching of a member of the royal family that goes beyond a handshake. The rule dates back to the Middle ages when it was believed that “monarchs were divinely appointed to rule by God, so they were kind of seen as gods, so they demanded to be treated as gods,” explained British historian Kate Williams. Although the rules are a lot more relaxed these days and there are “no obligatory codes of behaviour when meeting The Queen or a member of the Royal Family,” it is encouraged to maintain the traditional etiquettes as much as possible. 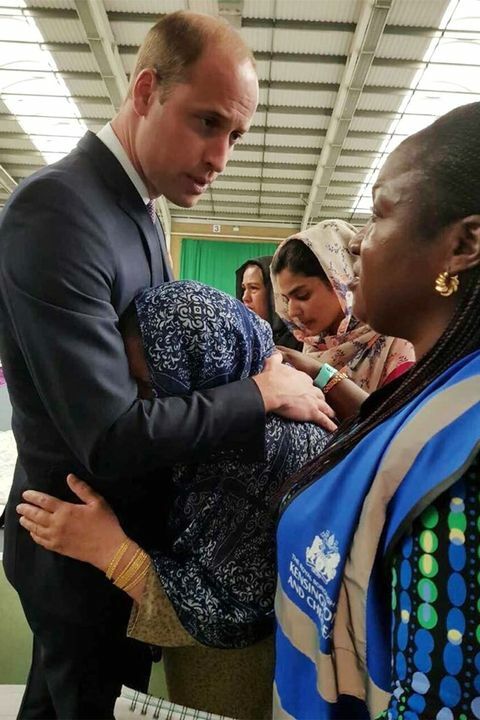 Protocol aside, the image of William and the unnamed woman sent a powerful message about the impact the inferno had has on the victims’ families and the city as a whole. According to news reports, the death toll isn’t final as rescuers are still working to find the bodies of missing victims. In a situation like this, we’re positive honoring tradition was the last thing on his mind. Surprsingly, William and Diana aren’t the only royalty who have broken protocol in the past. Click on the next page to see who else went against tradition for a greater good. 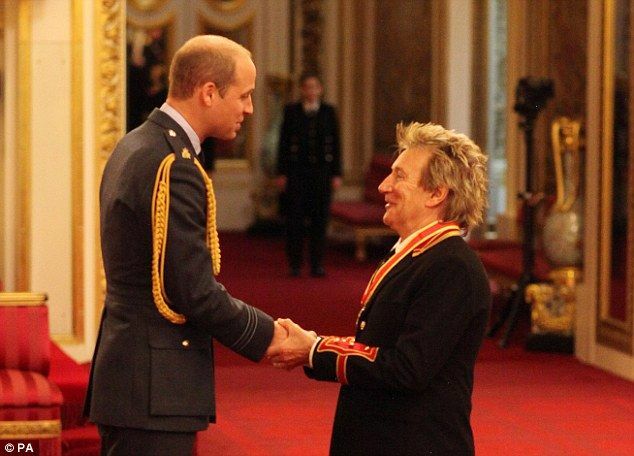 This wasn’t the first time that Prince William turned his head away from the rules to do comfort one of his subjects. In 2010, William hugged a teenage girl whose story moved him. The teen was once homeless but with the help of an organization supported by his late mother, she overcame her struggle. The Prince and his mother, Diana, weren’t the only members of the British royal family to go against tradition and offer more than a handshake to non-royalty. 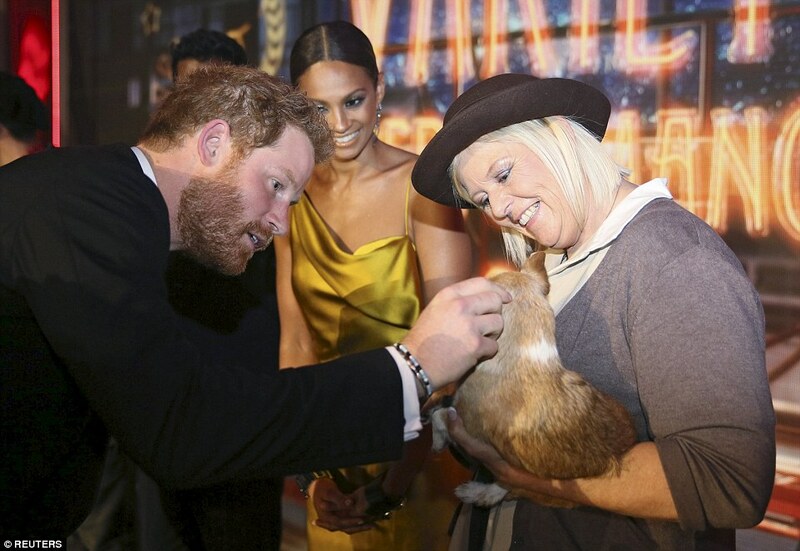 Last December, Prince Harry was caught on camera petting the dog that won Britain’s Got Talent that year. While on their visit to Canada last year, both William and Kate made a fan’s dream come true by each giving her a big embrace. “You just made the top of my bucket list. I’ve been following you since the days of Diana,” Mrs. Wally told the royal couple.